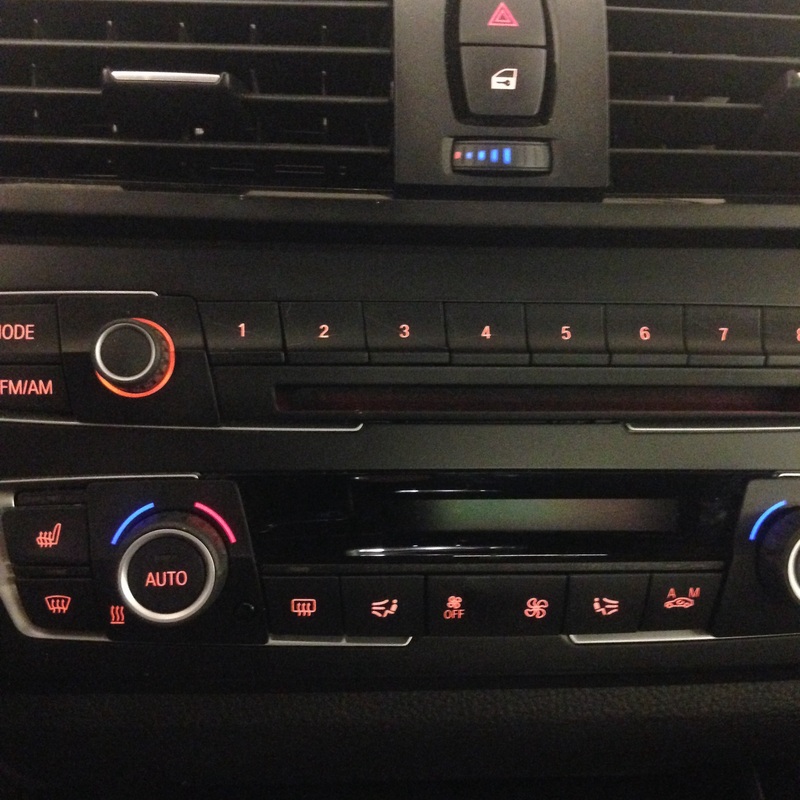 Ok here is your typical BMW radio and a/c control panel,,,,this one is from a 2015 2 series,,,,,you probably can’t tell from this picture but there is a problem. Can you see it now,,,,the small cracks on the preset button,,,,doesn’t look like customer abused it,,,,they just started cracking all the buttons on the radio. We are starting to see this more often,,,,it’s the same panel on all the 2 and 3 series cars,,,,,these panel are real easy to take out and replace,,,it takes about 15 minutes,,,,and no programming needed the best part. 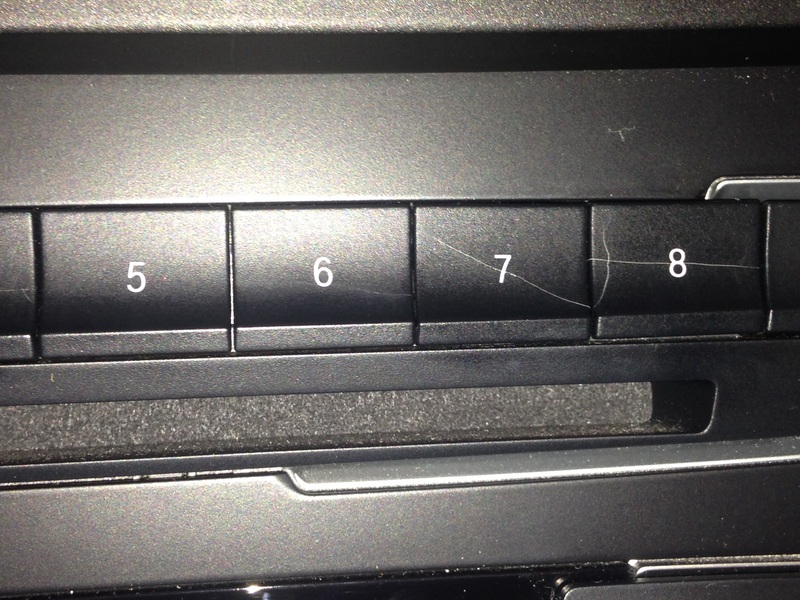 This entry was posted in Uncategorized and tagged buttons, cracking, radio panel. Bookmark the permalink. My wife leaves scratches/cracks like that around the door handle of her car. Wicked bad scratches on the piano by my neighbor, she has long finger nails. The scratches look like cracks by the way. LoL! worrisome about BMW quality, from my exp this means sub par material or process, possibly using scrap regrind plastic in the molding process. 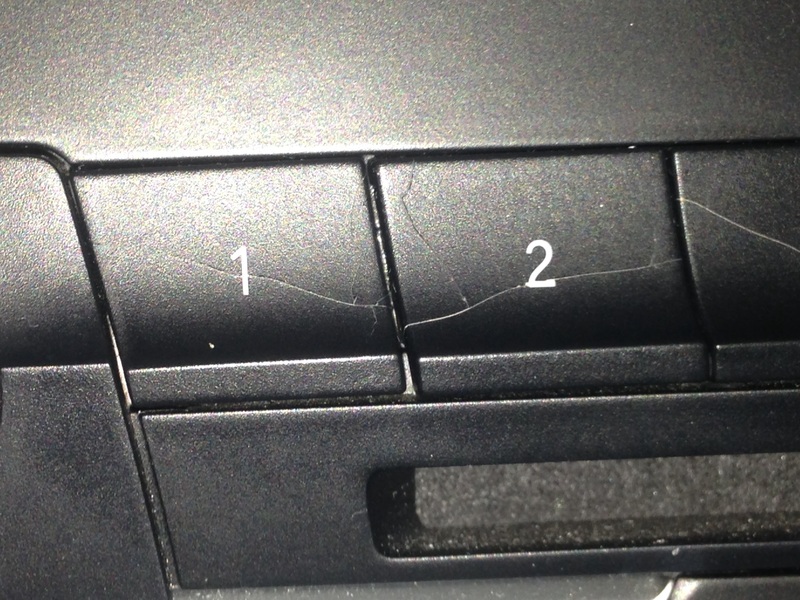 ie not virgin material .HAVE NEVER SEEN THIS IN AUTOMOTIVE interior PARTS and ive been around a long time. I agree,,,I have seen another one last week same kind of cracks,,,in my 29 years working with BMW ,Mercedes,and Porsche ,,,it has to be the plastic recycling or the plastic is to thin.